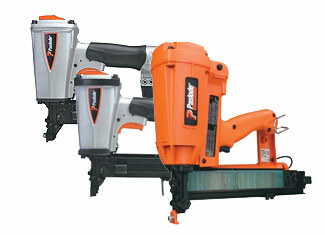 Paslode, which specializes in providing premium quality fasteners and fastening tools, was formed in 1935. 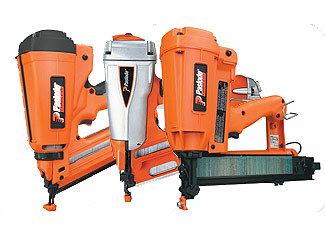 Paslode is considered to be a pioneer of many industry first solutions that has paved its way to become a popular manufacturer of cordless and pneumatic nailers, staplers, and fasteners for wood to wood construction. Paslode tools are generally reliable and sturdy but there is always a chance of internal or external parts catching a defect or getting broken because of usage or a human error. For those times, ToolpartsPro offers you an entire collection of original Paslode tool parts critically manufactured to be a replacement of a defective part. You can have Paslode replacement parts at reasonable prices and we enhance your shopping experience with our continuous customer support that includes technical help. Find the parts you need with the help of our easy-to-use search bar or dial our toll free number 888 982 6540 for verbal inquires and assistance.